Former Premier League manager and pundit Graeme Souness has explained how he believes Manchester United are taken advantage of in the transfer market. The Red Devils have spent big since club legend Sir Alex Ferguson retired in 2013, with many of their expensive signings not proving worth it so far. Jose Mourinho in particular has a history at all of his clubs of turning to big-money purchases who are the finished product instead of developing players. 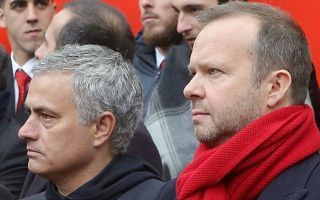 Souness has criticised this approach in his column for the Times, saying United’s over-spending leads to teams ramping up their prices when they come calling for their players. This is clearly a combination of the work done by United and Mourinho, but it is also true that the club have splashed out on many of their most pricey flops since the former Chelsea boss took over in 2016. Since then, the likes of Paul Pogba, Romelu Lukaku, Nemanja Matic and Alexis Sanchez have come in, and none have really looked worth their price tags, even if only Pogba and Sanchez would really count as significant flops. Still, players like Eric Bailly, Victor Lindelof and Fred have not come cheap either and there seems a big difference in how United spend their money in comparison to Manchester City and Liverpool, who invest a lot, but who seem more picky about bringing in the right players to fit their needs. ‘Mourinho’s managerial method is not about developing players, it’s about buying the finished article and getting it right early, but that has not happened for him this time,’ Souness wrote in the Times. ‘The players who have come in have not been good enough and he’s spent heavily on them.